Quick summary: This lesson incorporates clips from Blue The Film as learning inspiration. In this lesson students explore the global migration journey of the Flesh-footed Shearwater. Students begin the lesson by looking at the physical features of shearwaters and, in particular, the features that allow them to navigate the open ocean and return home again. They then take part in an interactive role play following the migration route of the shearwater. Finally, students consider how humans impact the oceans through plastic pollution and consider ways to share their own ‘STOP the DROP’ litter message with the school or local community. Students will recognise the physical features of a shearwater. Students will understand how and why shearwaters take long migration journeys. Relevant parts of Year 5 Science achievement standards: Students analyse how the form of living things enables them to function in their environments. Relevant parts of Year 6 Science achievement standards: Students describe and predict the effect of environmental changes on individual living things. Unit of work: Blue The Film: Inquiry – Years 5 & 6. Level of teacher scaffolding: Medium – lead students in role-play activity and discussions. Resources required: Student Worksheet – one copy per student. Device capable of presenting a website to the class. Large world map. Four fabric pieces (different colours) to represent the countries of Australia, New Guinea, Japan and Russia. Shearwater Migration – Countries and Oceans. Flesh-footed Shearwater Picture. Shearwater Chick Picture. Shearwater Migration Journey – Script. Art materials or camera. 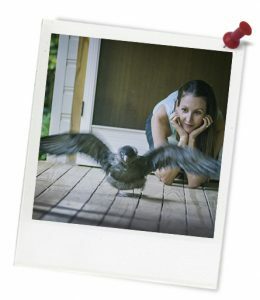 Keywords: Blue The Film, ocean conservation, Flesh-footed Shearwater, migration, plastic, oceans. Learning intention: Students understand physical features and the migration journey of a Flesh-footed Shearwater. ...know one to three biological features of a shearwater that help it on its migration journey. ..know how shearwaters navigate the oceans. ...know how plastics are harming shearwaters. ...know how to help shearwaters. ...be able to participate in a role play activity. ..be able to contribute to class and group discussions. Thought starter: Shearwaters are also known as mutton birds. Work independently to answer the questions and add your thoughts to Column A of the table below. Once complete, turn to a classmate to share and discuss your answers. You can then make additional notes in Column B. How might shearwaters learn about the ocean migration journey before they leave the burrow? What environmental features might they use? Why do you think shearwaters have long strong wings? 1. How might a shearwater's beak help it survive? 1. How do the feet of a shearwater help it survive? 2. What other features of a shearwater help it in its daily life or on its migration? 2. 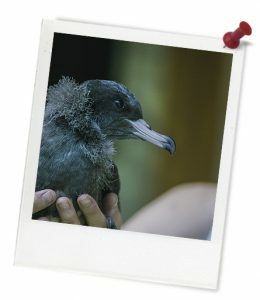 What was the most interesting thing you found out about shearwaters from this lesson and why?